Dennis has lived through quite a bit since pulverizing his ankle playing ice hockey in February 2010. Soon after his accident, it became apparent that Dennis was suffering from a severe bone infection. 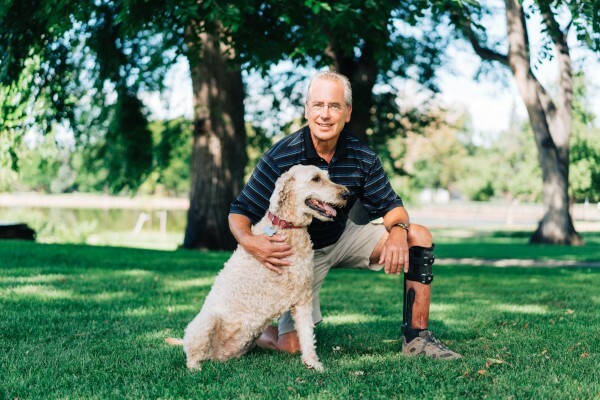 His surgeons at both Swedish Medical Center and Kaiser Permanente explained to Dennis that they had done all they could; he was now facing the reality of losing his leg. 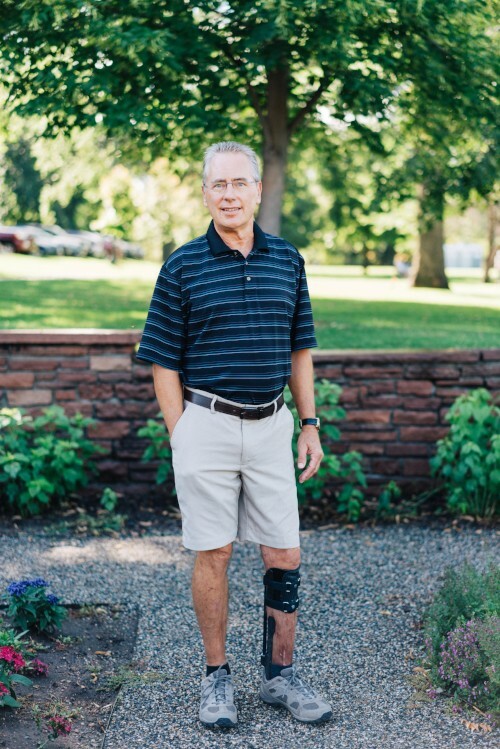 In 2012, Dennis was referred to Dr. David Hahn with the Colorado Limb Consultants, who put Dennis in an external fixator, a cage-like devise intended to help the broken bones in his ankle finally heal. Dennis spent 14 months in the fixator, until finally his ankle had healed. 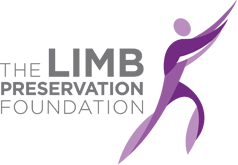 During this time, he became a member of ‘Frame Camp’, a support group for individuals using external fixators to preserve an extremity at risk. Though no longer in a frame, Dennis still visits the group occasionally to provide peer support and hope. With the support of his wife, Mary, his children, friends and medical team, Dennis has regained the mobility he so desperately missed. He enjoys traveling all around the world, hiking and golfing. In fact, just weeks after this photo shoot, Dennis and Mary participated in The Limb Preservation Foundation’s Golf Tournament! When we met Millie at her photo shoot, she was calm, sweet and clearly very loved. At 11-years-old, this beautiful Golden Doodle had a wisdom and grace to her that made her seem nothing less than regal. Millie loved to run, and would run 150 miles a week when she was younger. Though at 11 she had slowed down, the diagnosis of osteosarcoma still came as a shock. Millie underwent an amputation of her front right leg, and chemotherapy treatment to prolong her life. A few weeks after her photo shoot, Millie passed away from her disease. She was fiercely loved and will be greatly missed by her family. Millie will always be remembered as a sweet girl, a family dog who her dad describes as “everything we wanted, and more”.